Visitors to theme parks like Disney World will get to seize the opportunity to view firsthand some of the world’s finest examples of topiary trees and shrubs. 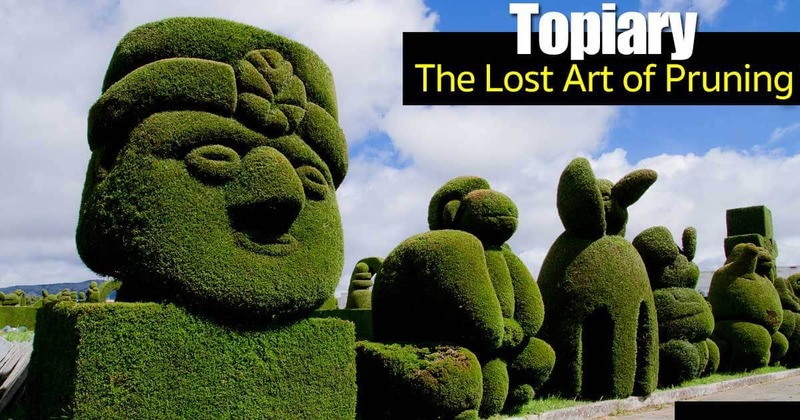 For the ancient, eye-intriguing art of topiary – with its sheared figures and geometric designs – is truly a lost art. Never practiced extensively in America, topiary is found most of the time at large theme parks like Disney World because of a significant amount of time required to trim the leaves and branches to intricate figures and cost of that time. Four to five hundred years ago people here were too busy fighting for mere existence to be interested in gardening of any kind. Exotic plants and greenery (even such now-common ones like the Korean dwarf lilac tree and laurels) were practically nonexistent. This was due not only to the lack of interest in plants generally but also to the fact that ocean voyages were so long and hazardous that few such plants ever reached new homes. As times became more settled and living conditions bettered, people found a new leisure and many began to turn to gardening to beautify their home grounds, being limited in their plantings, of course, to the meager native stock available. Along about this time, a utilitarian impetus to gardening appeared. Farmlands were being divided into smaller and smaller parcels as the population was increasing. The significant problem of how to divide these lands posed itself, barbed wire fencing being then, of course, unknown. The use of living hedges solved the problem – hawthorn, beech, and maple, sheared to size. As these hedgerows gained popularity for home garden design and event decorating, similar hedges were started to ornament living quarters areas, the slower-growing and more decorative yew, boxwood bushes and holly being used. Probably as a relief from the common farmland hedging, this dense foliage was clipped into ornamental designs, shapes and figures – and the art of topiary was born, an art which was to be avidly pursued for centuries – until its present-day decline. The pruning of figures and geometric designs is not difficult but takes time and patience. A branch must be trained in just the right way – trimmed here and let grow there – possibly tied a bit to force the right kind of growth at just the right place. Slow-growing boxwood topiaries and yews are more easily cared for than faster-growing privet or Monterey cypress (Cupressus macrocarpa), the former requiring trimming only once a year, the latter, several times each season. But in any event, it takes patience, a steady hand and a keen eye to clip and sheer in just the right way and place. Topiary is a delightful sculpture in living green! NextTrellis Plants: What Are 10 Of The Best Flowering Vines?